Whether you prefer peace and quiet, or a busy social diary, the village of Marengo in beautiful Fiddler’s Creek is a perfect community to call home. The Marengo community consists of 17 coach home buildings, each with eight spacious three-bedroom condo units. And as it is situated along the western and northern lake shore in the Aviamar residential zone, the majority of Marengo condos owners can enjoy excellent lake views. Built in a Mediterranean style, each of the 136 individual Marengo condos boasts a large living area for full home comfort, a rear lanai from which to enjoy roaring sunsets and tranquil lake views, and gourmet kitchens and superbly design bathrooms for luxurious living. Marengo community residents have their own community swimming pool, but they can also take full advantage of the amenities offered by the Fiddler’s Creek Club & Spa, like the award-winning Creek Golf Course, resort-style pool and recreational facilities. 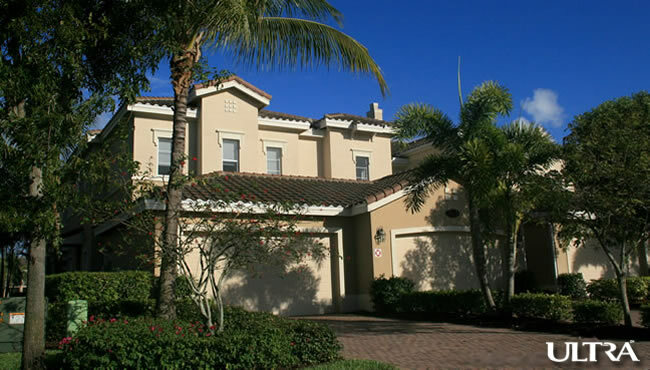 Marengo Real Estate in Naples - Updated Every 15 Minutes! Viola is a 1st-floor condo covering a total area of 3,164 sq ft, with 3 bedrooms, 3 bathrooms, spacious family room and living area, large screened lanai, and 2-car garage included in the floor plan. Violetta is the largest Marengo condo, Situated on the 2nd-floor, it covers a total area of 3,461 sq ft, with 3 bedrooms, 4 bathrooms (1 half), spacious family room and living area, large screened lanai, and 2-car garage included in the floor plan. Floriana is a 1st-floor condo covering a total area of 2,859 sq ft, with 3 bedrooms, 3 bathrooms, spacious family room and living area, large screened lanai, and 2-car garage included in the floor plan. Gladiolo is a 2nd-floor condo covering a total area of 3,086 sq ft, with 3 bedrooms, 3 bathrooms, spacious family room and living area, large screened lanai, and 2-car garage included in the floor plan. For more details on the range of available properties in the village of Marengo at Fiddler’s Creek, view the Marengo condo listings below or give us a shout.